KITENDE – Vipers maintained their title charge with a comfortable 3-0 victory over Bright Stars. 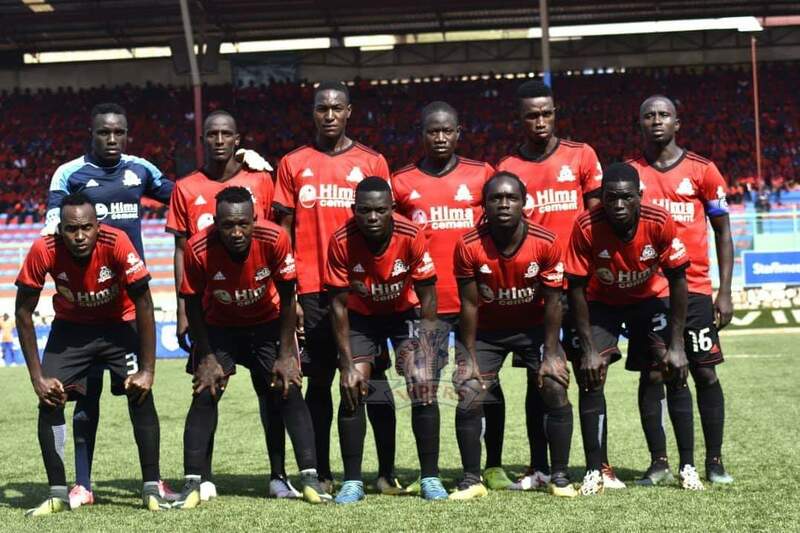 In the only StarTimes Uganda Premier League game played on Friday, Steven Mukwala, Tito Okello and Halid Lwaliwa, were all on the score-sheet for the Venoms. Vipers who came into the game knowing that KCCA had dropped points on Thursday, started strongly in search of an early goal. They did not have to wait for so long as they took the lead through 20 year old, Steven Mukwala on 6 minutes. Aziz Kayondo who continues to deputize for the out of form Yayo Lutimba, played a neat one two with Tito Okello and the young left-back played in Mukwala for a simple tap in. After the early goal, the Venoms looked to have settled down and started dominating possession in the middle. On 16 minutes, Tom Matsiko who has struggled to tie down a starting place at Vipers, tried his luck from distance but ended up making a mess of his attempt, shooting wide just wide. The first booking of the game was shown to Bright Stars’s Aggrey Kirya for tagging, back Kayondo. Bright Stars who had struggled to create anything meaningful since the start of the game finally found themselves in front of Vipers’ goal but Alfred Onek who had made a brilliant run behind the Venom’s back line, decided to square the ball instead of shooting at goal and Vipers pounced onto it. After a poor clearance, Nelson Ssenkatuka could only blaze over from inside the area. Moments later, Brian Enzema tried his luck from 25 yards but could not trouble Fabian Mutombora in the Venoms goal as the ball went out for a goal-kick. Onek became the second player to be booked for a clumsy foul on Kayondo. 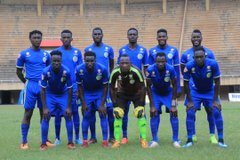 The Bright Stars players looked to be frustrated by the way things had moved in the first half and had Brian Enzema booked for tripping Tadeo Lwanga from just outside the area. The resultant free-kick by Matsiko was saved comfortably by Benson Wagima. Vipers were in control of proceedings by the sound of the halftime whistle, leading 1-0. Three minutes into the second half, Tito doubled Vipers lead. The lanky striker rose highest to nod in Matsiko’s well weight free-kick from the left to put Vipers 2-0 up. In response, Bright Stars made a double substitution with John Opejo and Moses Okot replacing Onek and Samuel Ssekito respectively. Four minutes to the hour mark, Rahmat Ssenfuka replaced Karim Niyigizimana as Vipers made their first change. Bright Stars made their last substitution on 64 minutes with Henry Kiwanuka coming on for Augustine Kacuncu. Vipers could have tripled their lead moments later but Innocent Wafula could not beat Wagima in a one on one situation after he was played in expertly by Matsiko. Mukwala headed wide the rebound but was judged to have been in an offside position anyways. With 17 minutes to play, Vipers finally found their third through defender Halid Lwaliwa who headed in another Matsiko free-kick for his second goal of the season. Moments later, Vipers made a second change with Abraham Ndugwa replacing Tito. Eleven minutes from time, Hamis Diego Kizza came on for another goal-scorer, Mukwala as Vipers made their last substitution. On 83 minutes, three could have easily became four only for Wafula to head over a Ndugwa cross, while un-marked in the area. With the game approaching its climax, Ibrahim Tembo became the first Venom to be booked, following a bad foul on Ssenkatuka just past the center line. In the end, Vipers won the game 3-0 with Bright Stars looking dejected for the entire 90 minutes. The three points see Vipers close the gap between themselves and leaders KCCA to only 4 points. The Venoms have now accumulated 41 points from their first 20 games. For Bright Stars, they remain 10th on the log with 24 points and have now gone 11 games minus victory in the League. Their last win was at the start of December in a 1-0 victory over Paidha Black Angels.